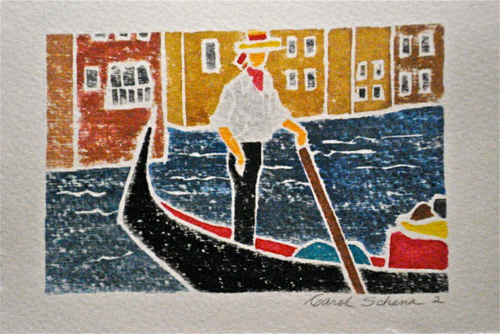 The shared thoughts and artwork of Carol Schena. 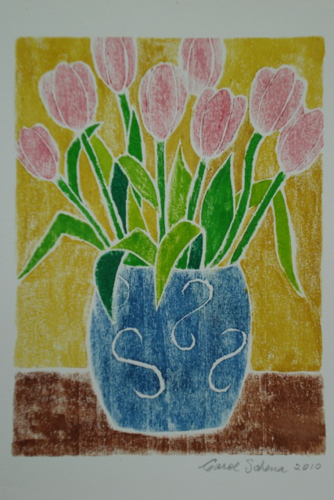 Margery is a local Artist from Melrose, MA. Her work will be on exhibit at the Melrose Arts Festival from April 26-28, 2013. Q. What does Art mean to you? Art to me is an expression of feelings through sight. Q. What is bas relief? What influenced you to create art in this medium? I like to describe bas relief as sculpture with a flat back, similar to carved tombstones. I became interested in bas relief while I was in college studying sculpture. I discovered that being able to hang my sculptures was a much easier way for me to present my work to the public. There is much more opportunity to show work that can be hung on a wall than free standing work. Q. Many of your pieces reflect children? What is your inspiration? There is so much sadness and worry in this world that I like to capture a moment in time to bring a smile or a happy memory to the viewer’s mind. My grandchildren inspire me and I tend to take pictures of them in action for subjects in my work. I find it interesting to talk with people about their memories of happy days gone by when they view some of my pieces. Q. 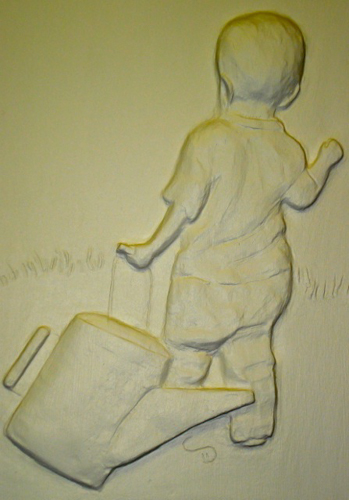 What is your creative process of creating a bas relief? 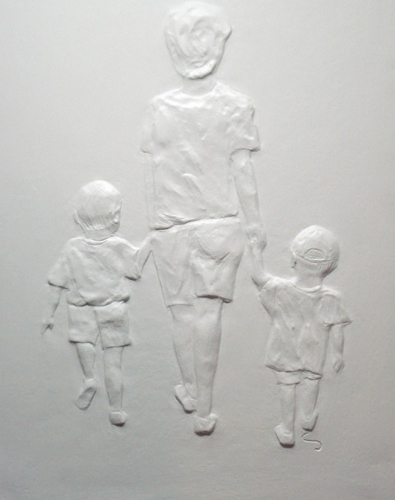 There are several steps in making a bas relief. I start out with a flat slab of clay. I will then draw the picture on the clay with a sharp tool. Next, I will carve (subtract) or mold (add) the subjects to the slab. When I have finished the piece the way I like it, I will then make a plaster mold. After separating the mold from the slab, I will begin the process of cleaning up the mold to make it ready to be cast. It is important to wet the mold thoroughly and put on a separator before casting it. After removing the cast, it is time to clean it up and prepare it to be finished. I then usually paint the surface and sometimes stain it to complete the piece. Q. How would you describe the style of your artwork? My work is pretty realistic. Q. For your wire pieces, was this a self-taught technique? I guess you would say I was self-taught with my wire pieces. They start out as a wire “drawing” and evolve from there. Some are left as stick figures and others are filled in. I have a subject in mind when I start but I don’t know where it will lead me. It’s always fun to see a piece develop. 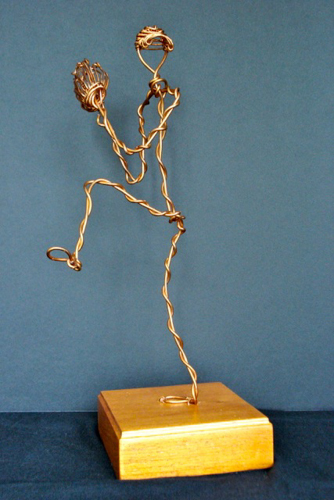 Sculptor Alexander Calder has been an inspiration to me and my wire work. Q. What importance does your artwork hold for you? My work is a form of meditation for me. I can remove myself from the day to day issues and I find creating something is very rewarding. I find it challenging but also fun. Q. How is your artwork a reflection of you? I am generally a positive person and I hope my work reflects that. I was always interested in art growing up, particularly in drawing. I was always creating something. Q. Do you have any words of wisdom you can share to aspiring artists? Follow your dreams! Art can give you joy and peace. Don’t ever stop creating! Q. What is your current work about? What are you trying to explore and how has that evolved since you started? I have recently started doing while-line block prints. It’s quite a bit different from my sculpture as it involves color! The process involves carving lines in wood to create a picture and then adding the paint and transferring the color to the paper, one section at a time. I am also exploring complete 3-D subjects rather than reliefs and am experimenting with “etching” (drawing) on plaster slabs. The shared thoughts and artwork of Lisa Tiemann. Lisa is a local artist from Melrose. Her work will be on exhibit at the Melrose Arts Festival from April 26-28, 2013. What legacy do you hope to leave through your artwork? I rarely think of a legacy. I live and work in the moment, and art is what best takes me into Now. It doesn’t matter what the form is—dance, music, drawing or glass—if I’m immersed, I enter that eternal present where I feel the open-ended creativity of existence and am, as the Sufis might say, annihilated. Art is a deep well. Without it, we might all dry up and blow away, spiritually. What should an artist hope to accomplish? Some of my art has an environmental message, but will it make people stop chopping down the rain forest? I want to create art that will make someone stop and want to go into it. Art is transformative, but you have to let yourself get inside it, and it inside you. Appreciators of art often do this quite well. 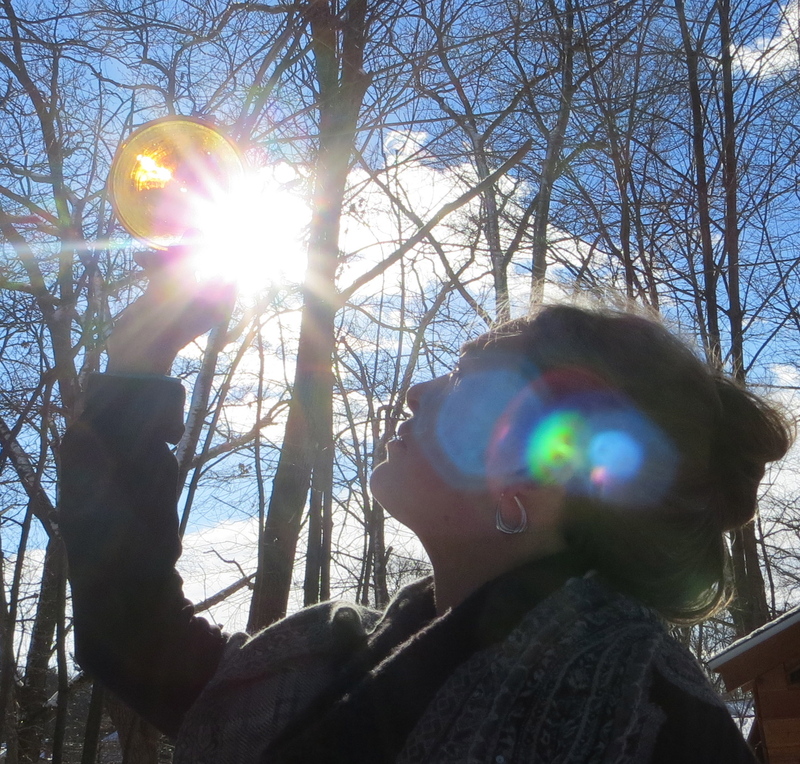 The very best way, though, is to make your own art and explore your own relationship to this mystery experience. I think my work as a teacher—one who opens the door for people to do their own creative work—may be my most important legacy, if it in some way brings people into their own experience deeply and thoughtfully. And yes, I would still like to help save the rain forest and coral reef. I’m still learning how art can influence social change. How have your surroundings changed your artistic visions and connection to your work over the years? I have traveled a lot, and in my dreams I’m always traveling. Amazing places…. I’m also always dreaming about constructing buildings or climbing around in them. These are my surroundings. Then, there are the homes and buildings where I create commissioned work. 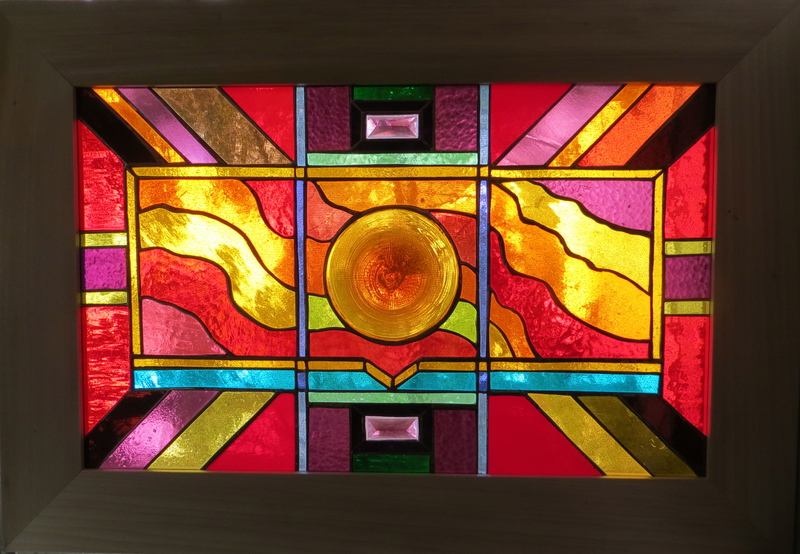 A commission is always in some way about relationship: to the people there, what I feel of their essence; to the architecture of the building and how I can honor the “thereness” of a place; how I can expand it and—literally, in the case of glass, shed light and color upon it. Over the years I have come to accept that because of all these places I visit my work is consistently inconsistent; it contains multitudes. Each gives me something new to bounce off of as a designer, an artist. It’s a new place to travel. 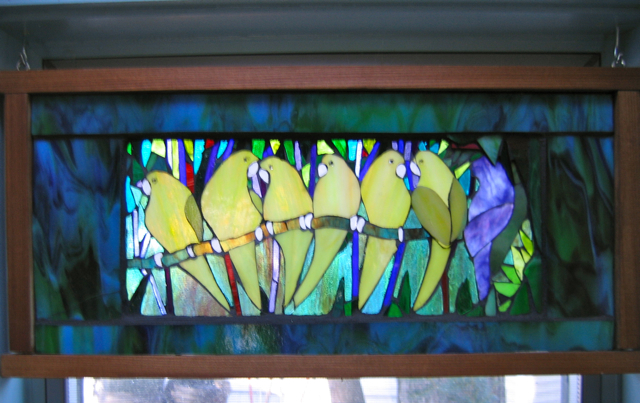 How has your experience in painting influenced your current creations in glass and mosaic? Glass was an accident. I wanted to be a sculptor before I painted, and before that a puppeteer. Later, I became a dancer…. It’s all part of a whole, whereby the medium itself isn’t sacrosanct; it’s just the current vehicle. 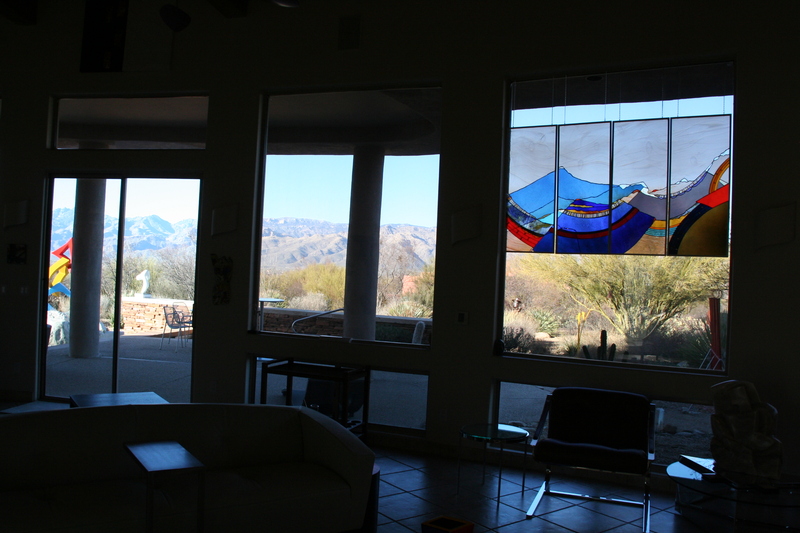 I still think of myself as painting when I design for glass. Like paint, glass is a liquid, just one with a high freezing point. I was mostly an abstract painter in art school. When I was invited to apprentice in a stained glass studio, sketches I’d intended for paintings became stained glass instead. The glass—availability of colors and textures, limitations in how it can be cut, the line between each piece—adds its elements to the final product. I love the freedom of painting, but I love the gemlike, constructed qualities of glass and its architectural arts context. Stone has mass, texture, and wonderful, solid presence. Rock of ages. 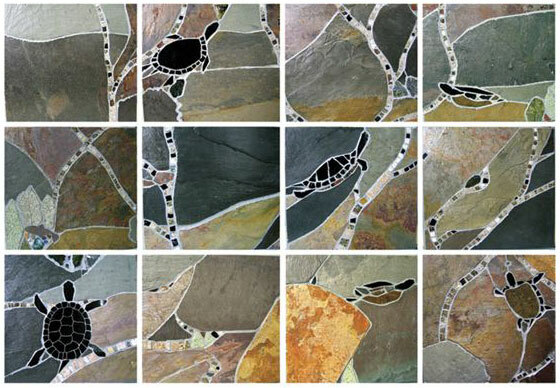 Mosaic, as I choose to do it, is looser and allows more freedom than leaded glass. It brings me back a little closer to painting, which I still miss. What influences the shapes and patterns in your work? When I sketch, I let my hand move in a way that’s akin to automatic writing. Things somehow appear on paper, often inspired by music. I keep my senses open. There’s both surrender and thoughtful intention. I recently designed a peacock window and started by sketching my idea of a peacock. Then, I went to Youtube and watched videos of extraordinary peacock dances, then went back to work with more of that feeling, those details. There are legions of artists who are indebted to the photography of National Geographic, and I’m one of them. I also walk in the woods first thing every morning. What role did art play in your life as a child? My mother had great respect for the arts. I spent a lot of time staring at the art on our walls. My parents were appreciative of my creations. My father thought I’d grow up to be an artist, but he expected I’d have a husband to support me. I was a product of my culture that didn’t see art as a serious vocation. Teachers and students in school knew I was an artist before I did. It didn’t occur to me until I was twenty that I might actually make a career of it. It seemed too good to be true. What advice would you give to emerging artists? Follow the energy. Be very aware of the physical and emotional sensations that accompany an idea. Let them speak to you. Also notice any voice in yourself that attempts to quash that impulse; it’s probably not useful. Don’t worry about how you’re going to manifest your idea. Once you’ve committed to it, you’ll find a way. From there, allow the surprises, accidents and intuitions to continue to shape your project. Trust them. The only valuable thing you have to contribute as an artist is your unique vision. If you have a wonderful mentor who supports your exploration, you’re fortunate. 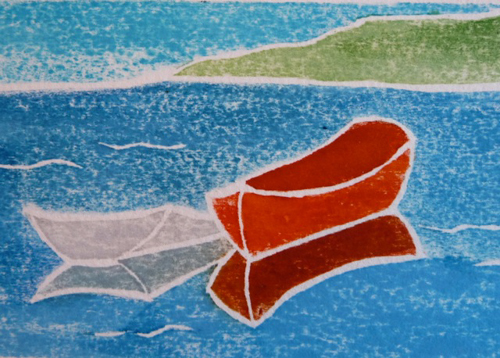 But the process of art making is one of trusting your own authentic inner voice. You’re the boss.